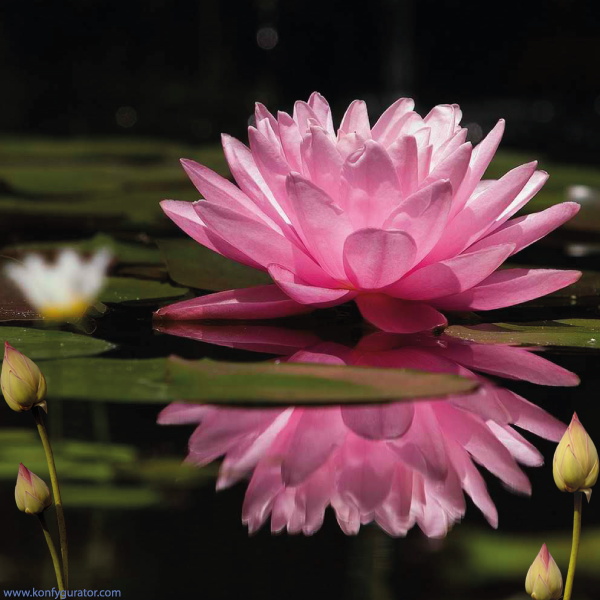 Did you know that the beautiful lotus flower, white or pink, has a self-cleaning mechanism. In fact, this divine flower is immune to dirt, paint and glue. On its rough surface of the petals, which looks like a smooth one, there are tiny bumps micromilimeter - wax crystalloid over which simply repels water droplets and dirt. During the flowering of this flower, it emits 1 watt of energy, which according to the calculations of scientists means that the energy of twenty flowers could shed light on one room. In addition to the self-cleaning mechanism, the amazing lotus flower, has a mechanism of conserving temperature petals at thirty degrees Celsius. More specifically, the petals are heated to that temperature, and then the same is maintained constant, and that is the reason why nature had given it greater potential for reproduction. But that's not all, the lotus flower also produces edible seeds the size of a walnut, which are in Asia, with a combination of sugar used as edible candy. The astonishing fact is that some lotus seeds, which end up in the sludge / water, not the oven immediately, but can stand still and be still as many as 1 000 years and then to germinate in just four days.